How a chemist and a surgeon found a way of helping burns to heal. Professor Ioannis Yannas was working at MIT in the 1970s when he first made the medical breakthrough. How a chemist and a surgeon found a way of helping burns to heal. 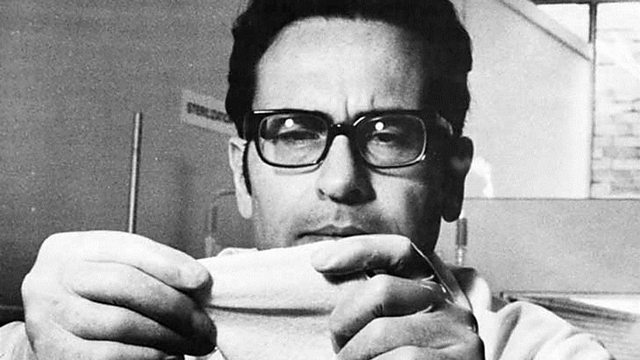 Chemist Ioannis Yannas was working alongside surgeon John Burke when they first made the breakthrough using a membrane made of collagen to cover burns which were too large for skin grafts. Photo: Professor Ioannis Yannas with some of his collagen membrane. Credit: MIT.